Have you ever walked on George Street near HSBC and wondered what that tiny alley-way-like area led to? 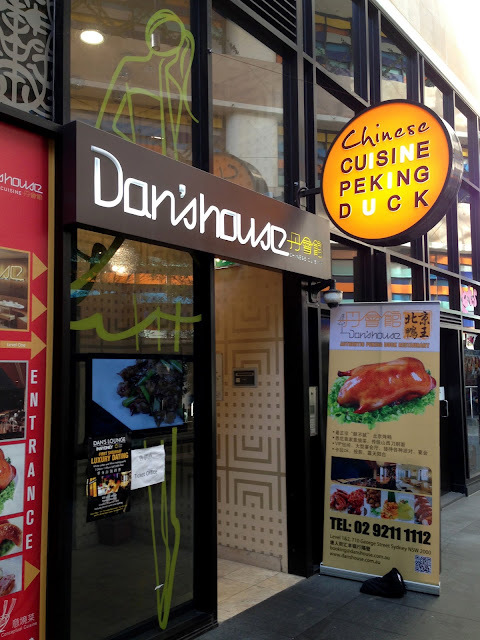 If that description made absolutely no sense, I'm so sorry for the confusion :P Anyways turns out there's a restaurant by the name of Dan's House in that semi-secluded lane, specialising in authentic Peking Duck and modern Chinese cuisine. You have to take a lift up and there's even two levels - one for general dining and one for functions. The decor here is surprisingly modern and somewhat eclectic for Chinese dining - leather clad circular booths and logo-engraved transparent plastic chairs surround the space, with a glowing Dan's House logo splashed across the room as a gigantic backdrop. Considering it's a Peking Duck restaurant, how could we not order the Dan's "Super Lean" Peking Duck ($39.80 for Half Duck)? Our Duck Soup, which is included in this order was served first and it was really rich and tasty - full of flavour from the brewing of the duck bones and you'll find the odd piece of tofu and cabbage here and there. A lovely warm appetiser to kick start the meal! 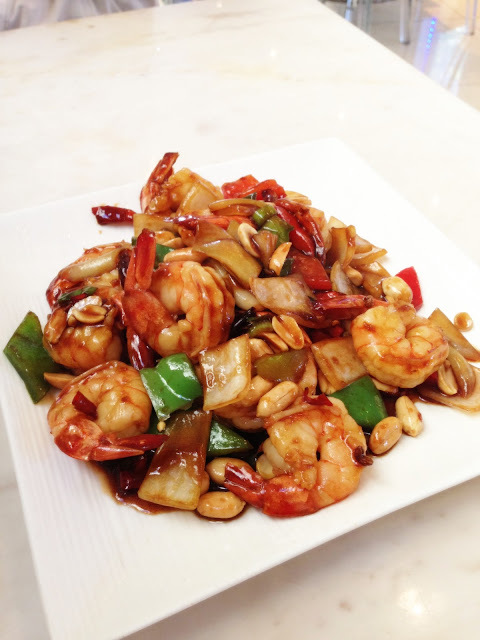 The Kung Pao Prawns ($24.80) was absolutely stunning - both visual and taste wise. It was spicy in that addictive way where you frantically reach for the glass of water after each bite before digging right in again. The prawns were very fresh and meaty, just the way I like it :D The sauce was definitely the key winner: would've gone so well with some rice too! The Peking Duck came with alot of duck meat due to the way it was cut and so some may criticise a lack of crispiness to the skin but personally, I loved it! It was tender, it was succulent and it was bursting with flavour. Because it is cut quite lean, it's not as fatty and hence very easy to digest and enjoy. Though I do understand that for many, the highlight of Peking Duck lies in the glistening crispy skin. Add a dollop of hoisin sauce and a sliver of cucumber - my pancake is ready to go! And my it was delish! We ordered an extra serving of Pancakes ($5) because there was seriously alot of duck meat given. I don't like to put too much in one wrap and that probably explains why we went through our first batch so quick. Then it was time for dessert! 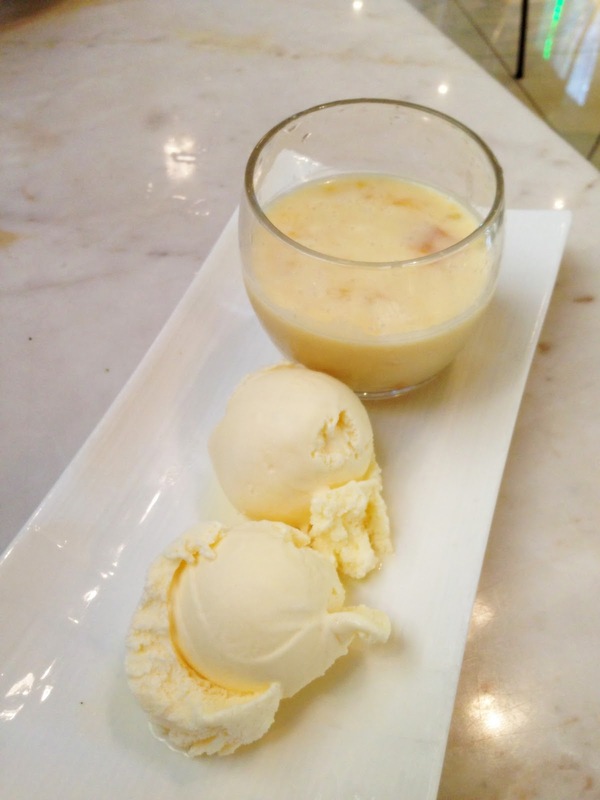 I couldn't resist ordering a classic favourite of mine: Chilled Mango Sago Cream with Pomelo and Vanilla Ice Cream ($7.80). It turned out better than I had expected - the ice cream was very creamy and went well with a spoonful of the chilled sago, which was indulgent with mango scents. 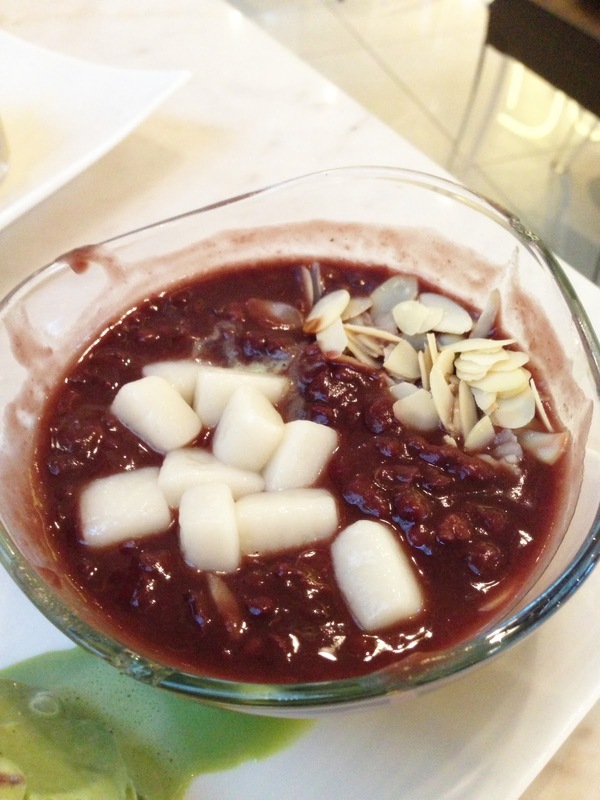 The Green Tea Ice Cream with Red Bean Glutinous Rice Balls ($8.80) were a bit of a disappointment. 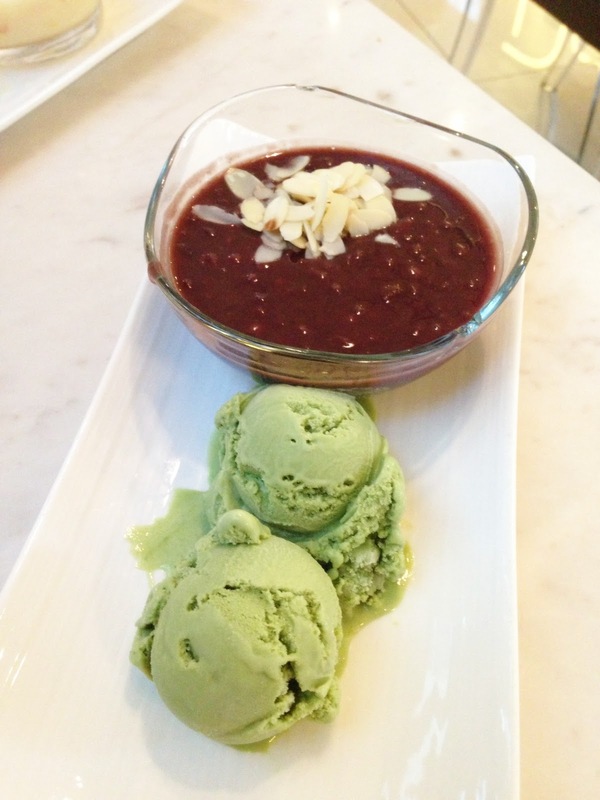 The red bean soup was a bit too thick for my liking but the green tea ice cream was just plain horrible! Not sure if I'm just picky or what but compared to a lot of the awesome green tea ice creams I've had at so many other places, this one did not even come close to passing the test. Something about it was just not right. Halfway through eating, I came to the shocking realisation...WHERE ARE MY GLUTINOUS RICE BALLS?!?! Ok it wasn't that dramatic. Anyways I informed the staff and they kindly apologised before taking it back to the kitchen to add the missing goodies. The rice balls although very soft and chewy, was quite bland in taste...or is it actually supposed to be like that? Regardless, this dessert was a letdown no doubt. 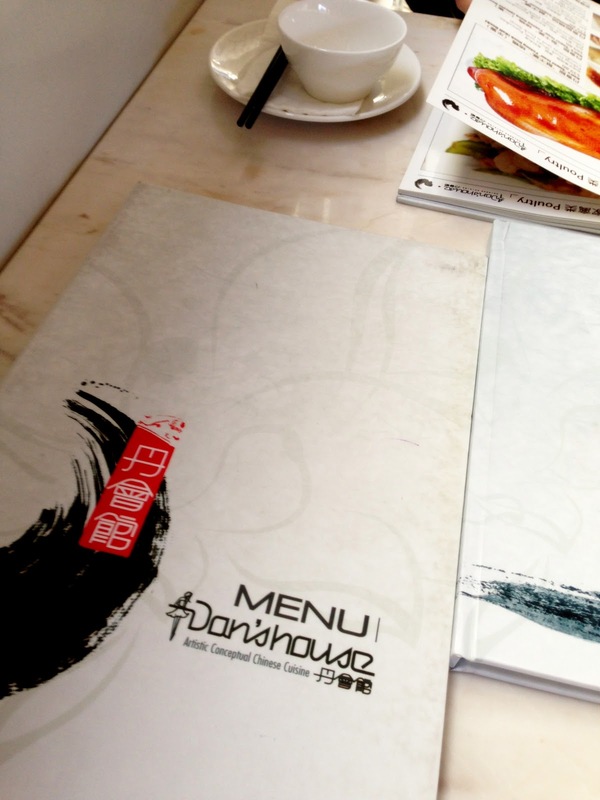 Overall, my impression of Dan's House was quite good - definitely a lot on the menu that I would want to try out another time. 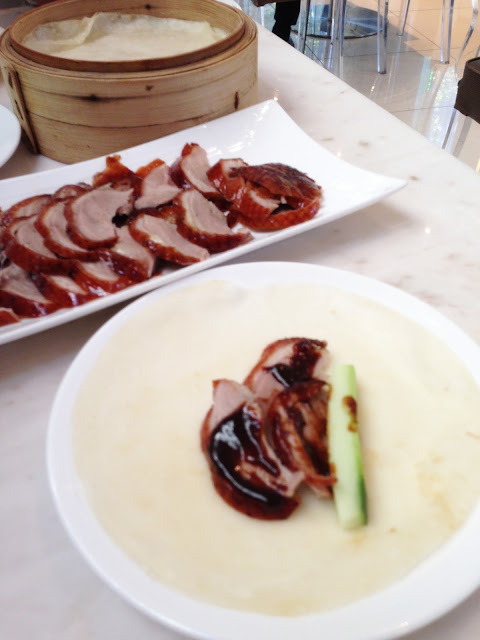 The Peking Duck is worth checking out but steer clear if you prefer fatty pieces of duck. 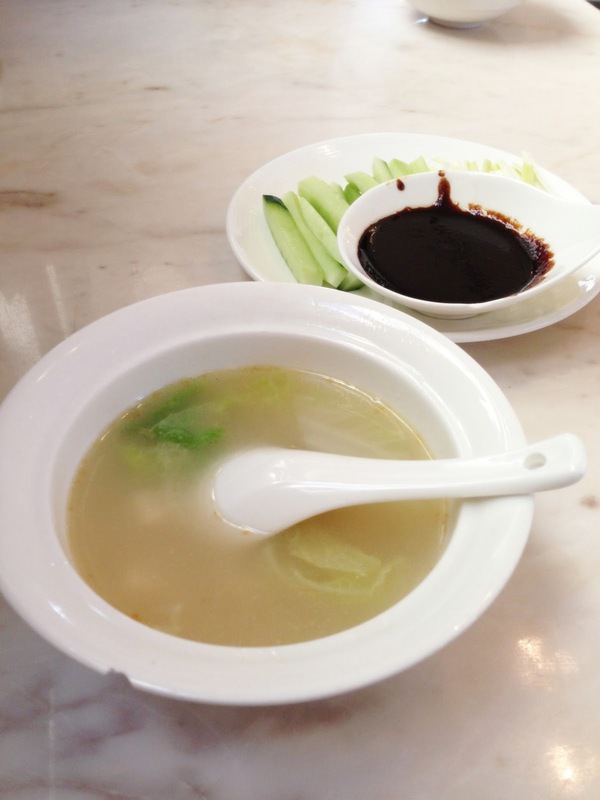 The menu is very extensive with modern takes on certain Chinese dishes, prices are relatively reasonable, and service is fast and efficient. The location can be a bit tricky at first but essentially it's in the heart of the CBD, close to Chinatown.